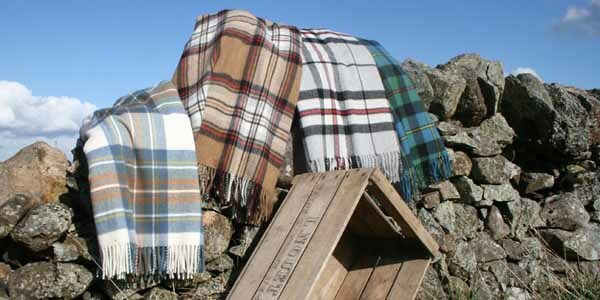 Here are some throws made from 100% pure lambswool classic, simple and luxurious, and so soft you cannot put it down. With this beautiful range, I moved away from the bold colours found in traditional tartans to the more muted tones of camel, cream, pale blue and grey. The rich shades of denim blue, cream, red and camel are present in the most fashionable homes.Their subtle tones will bring to mind open fires, the finest Scotch whisky and the beauty of mist over the heather landscape.